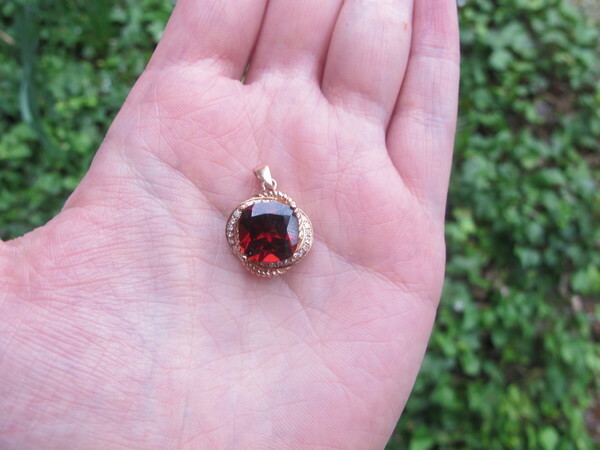 10k rose gold garnet and diamond pendant. The garnet in the design is a deep red cushion cut, 10mm in size. The pendant itself features an asymmetrical design of rope and diamond detailing. The pendant is approx 16mm wide and 16mm tall + 6mm for the bail.